This beautiful 19th century telescope was handmade by skilled craftsmen to represent the Victorian era. The sleek telescope features sturdy construction with a separate eye-scope on top of the telescope and is plated in heavy nickel to withstand the elements and keep its shine. The handsome tripod stand has adjustable ebonized wooden legs for tabletop display or stand on its own to create an interesting area of science and exploration. 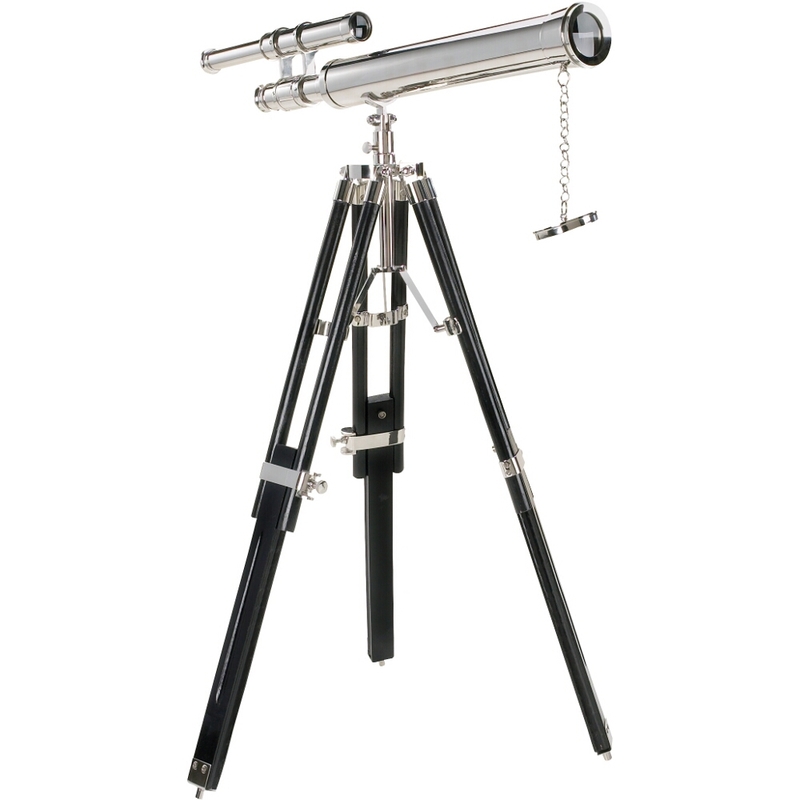 This classic black and chrome telescope is great to use as home decor or for gazing at the stars.